Dr. Allan Peterkin is a physician, author and professor. He has published 14 books, most recently The Bearded Gentlemen: A Style Guide To Shaving Face, and is currently working with Dove and their new Men+Care Face Range, a full line to help dudes care for their faces. Recently, I sat very close to Dr. Peterkin as we stroked our beards in a sexually suggestive manner in unison, and asked him the following questions. BE: “Beardsmith” that you are, what’s the best way to kiss my old lady with passion, yet not drag my stubble or goatee across her skin, to the point where she says it feels “exfoliated” after we’re done? DR. PETERKIN: Some call that a “snog burn,” snog being the English word for kiss. The best advice I can give you is work on your angle and your approach, and moisturize your face often to keep it as soft as possible! 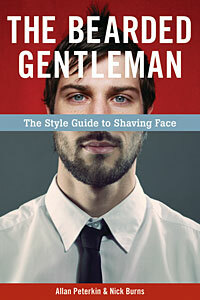 Your book is called The Bearded Gentleman: A Style Guide to Shaving Face and One Thousand Beards. What is the number one mistake most aspiring “beardsmen” make? DR. PETERKIN: The number one mistake men make is that they think their grooming work is finished once they’ve grown a beard. Facial hair requires a lot of maintenance; men have to make a commitment to their beards! They need to be trimmed properly and their margins kept clean. Washing and moisturizing also helps to keep the facial hair clean, and to condition it, which is crucial. 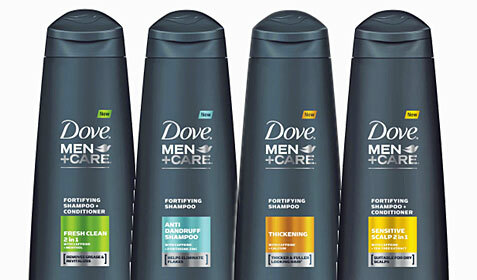 I like the new Dove Men+Care Face Range, which provides products specifically designed for men and offers a three step solution: cleanse shave, and finish. You can use the Dove Men+Care Face Wash to clean your beard and the Face Lotion to condition or soften it. DR. PETERKIN: I often think of the term “flavor saver” in relation to the soul patch. I think the soul patch is a fun form of expression, probably most appropriate for younger guys. Facial hair has become more mainstream and acceptable, but I’m not so sure we’re there yet with the soul patch. An issue some guys have with their blonde hair is that it doesn’t tend to grow in fully. Blonde facial hair can have uneven or patchy growth. Being a blonde myself, I suggest choosing a style after seeing what grows in most, and where, but don’t be too concerned about the color of your hair. Just play to your strengths! BE: How can I pick up chicks using just my “beardsmanship”? DR. PETERKIN: That is a tough one and it’s a matter of taste. Women seem to be split – some really like facial hair, others do not like it at all. Toss a coin, and if you’re going to have facial hair, wear it proudly. BE: What is your stance on guys who have so much chest hair that it naturally flows into the beard area? Should there be a distinct line of demarcation? DR. PETERKIN: I think it would look better to have a distinct line of demarcation, somewhere between the chin and the Adam’s apple. Men should shave the neck and lower edge of the beard, and leave their chest natural. BE: In your opinion, either living or dead, who had the most badass facial hair in history? DR. PETERKIN: I think I would have to say either Santa or Satan. Kidding. By category, I’d choose Salvador Dali’s mustache and Elvis’ sideburns. My favorite religious beard is Moses. I’d say one of my all-time favorites is romantic Composer Giuseppi Verdi’s beard. 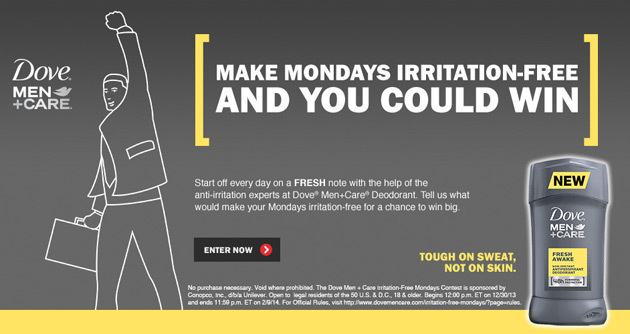 For more information on the new Dove Men+Care Face Range, click here. For more information on Dr. Peterkin’s book, click here.